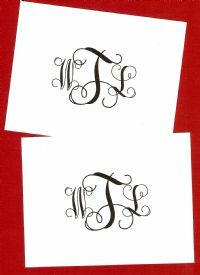 Can also be personalized with just a name or special wording. Stickers are 2.6 x1" in size. Please enter information for labels here! Sold in a set of 36. 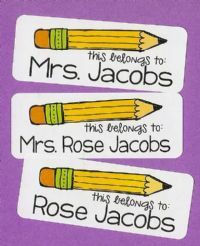 Personalized with the wording and name of your choice. Please enter it below in the personalization box. Click here to see the typestyle choices! Sold in a set of 12 notes and white envelopes. 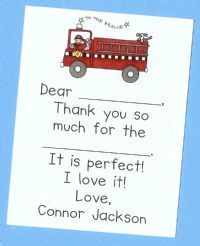 This a a traditional folded note design that is great for a more formal thank you. Sold in a set of 10 notes with white envelopes. Please enter initials in personalizatio box below. Please indicate which initial is the last name initial and needs to be in the center.